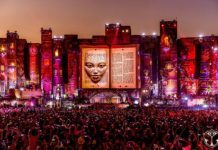 Tomorrowland releases Weekend One LIVE Streaming schedule! 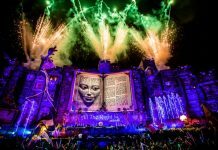 Home Edm News Tomorrowland releases Weekend One LIVE Streaming schedule! The weekend is finally here, and with it comes the magnificent Tomorrowland. Belgium’s yearly festival is set to kick off today and people from all over the world will come together for two magical weekends. The massive festival just released it’s long awaited live-stream schedule for weekend one. For those who aren’t able to attend this years theme “The Story Of Planaxis“, this is definitely the next best thing. The schedule looks to be broken down by stage, which makes things nice and simple. As you can see from Tomorrowland’s tweet, the full program will consist of four channels over three massive days. Let’s take a look below! All three days will have the Main stage going on Channel 1, with the other three channels covering each of the featured stages. Day one will see three featured stages, Anjunabeats, Organ of Harmony and Musical Freedom. Saturday, will host the Diynamic, Axtone and STMPD RCRDS stages. To close out the magnificent weekend on day three will be Smash the House, ANTS and the My House stage. It’s looking to be some kind of weekend. Streaming will start at 4:50pm local time, 7:50am PT and 10:50am ET each and everyday. 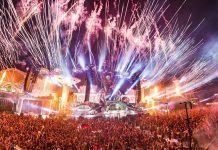 Head to tomorrowland.com and catch all of your favorite artists sets from weekend one!